When it comes to co-inhabitance, the general consensus tends to be, ‘what’s mine is yours – everywhere except the bathroom, that is. We maintain that sharing a bathroom with your SO can be something of a bonding experience, especially if you pull out all the stops. 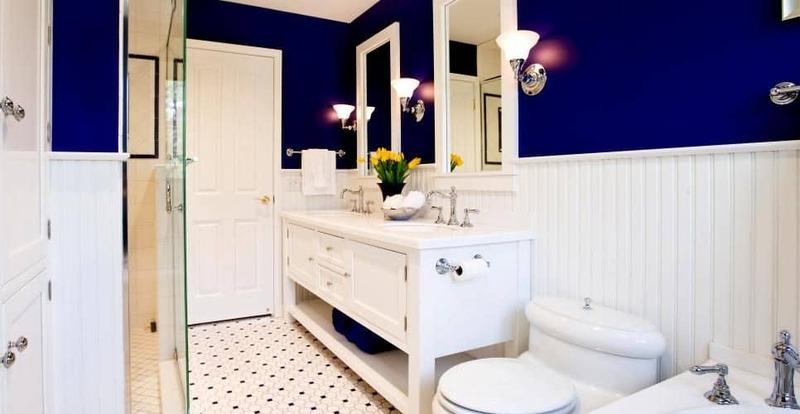 Turn your shared bathroom into a his-and-her haven with any of these five DIY-able ideas. What’s worse than a wet towel? Two wet towels! 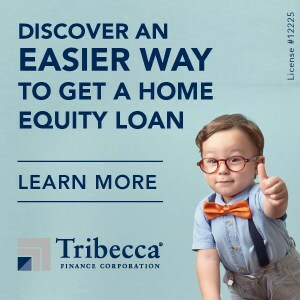 Avoid this common and unpleasant occurrence in style with an idea like the one below. 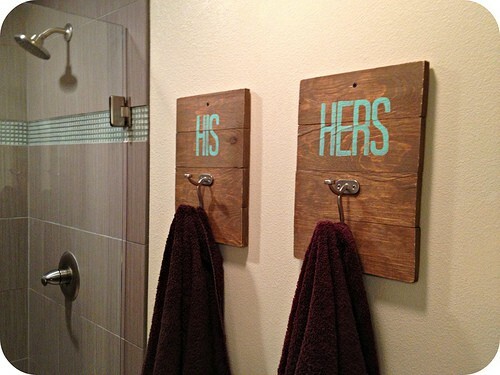 Visit The Average Jess for full instructions on how to make these his and hers towel hooks. 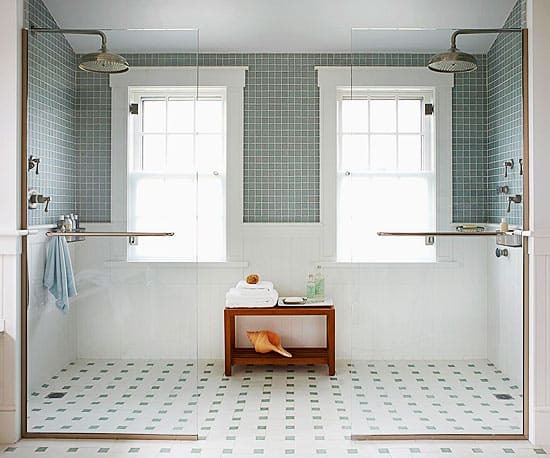 If you have the space for it, having multiple shower/tub setups can be a lifesaver, particularly on busy mornings. If you simply don’t have the space to fit a separate bath and shower, consider a double showerhead setup to get the most of your space. 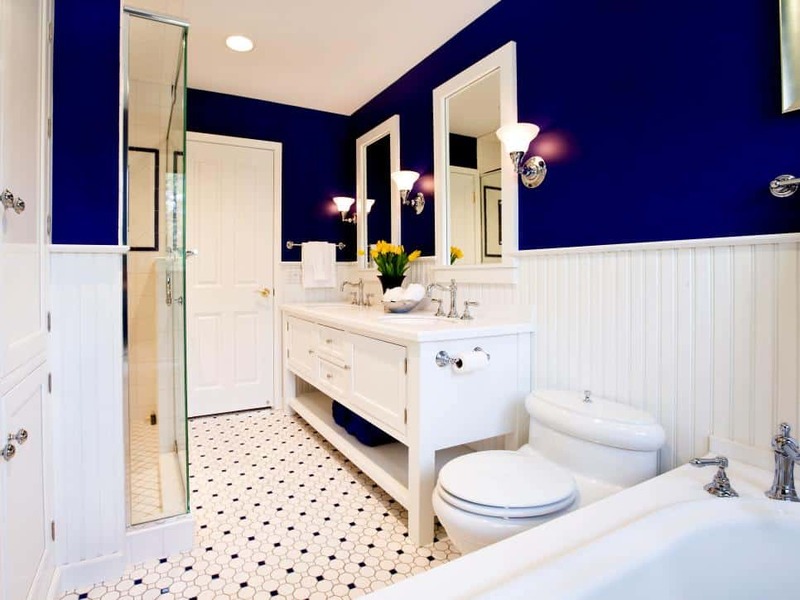 Speaking of life savers… adding a second basin is a decision that you surely won’t regret. 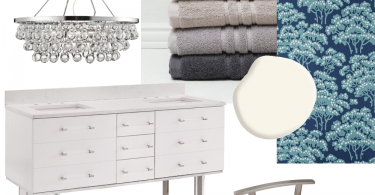 Take it one step further with individual mirrors, hand towels, and soap dispensers, for a truly his-and-hers effect. Because couples who prim together, stay together, or something like that. And speaking of decisions you won’t regret… more storage tends to be welcomed storage, no matter where it is. Keep your bathroom tidy with a DIY idea like the one below. 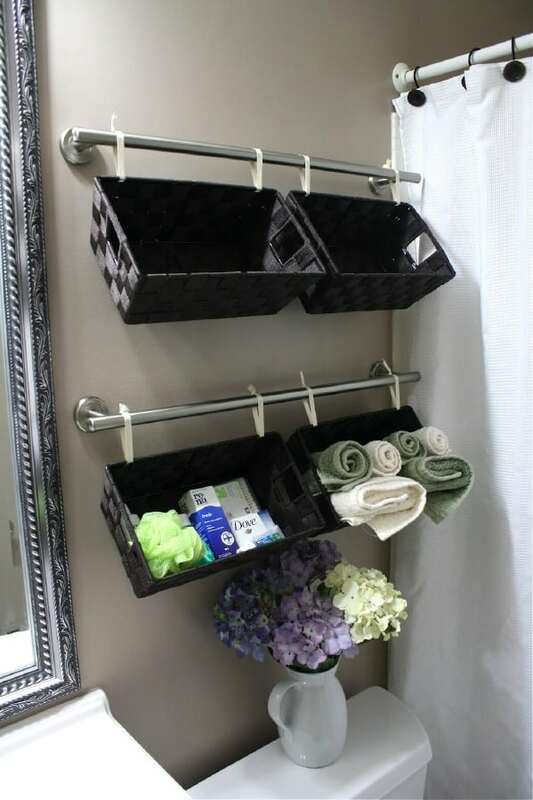 Visit Simply 2 DIY’s blog for full instructions on how to make this basket organizer. 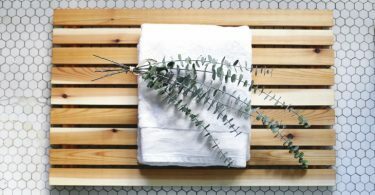 Your bathroom should be a personalized space, not unlike your bedroom and living area, and what better way to do just that than to display some lighthearted wall art. 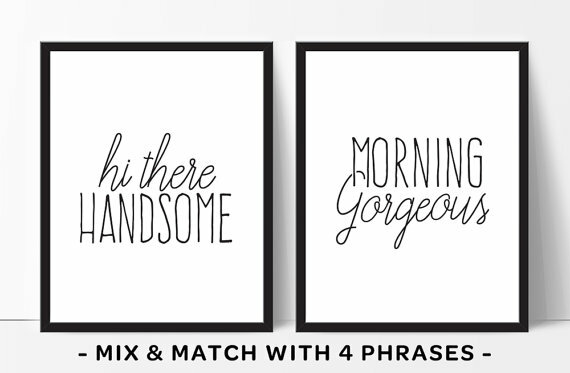 Visit Etsy to shop His and Hers wall art.